A team led by City College physicist Hern´an A. Makse was legally granted access to two massive big datasets: all the phone calls of the entire population of Mexico for three months and the banking information of a subset of people. All the data, approximately 110 million phone calls and 500,000 bank clients, was anonymous with no names. 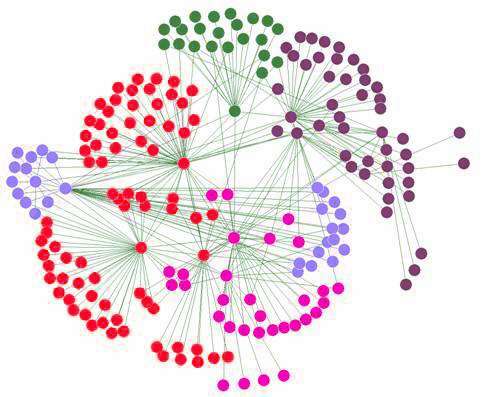 "It is commonly believed that patterns of social ties affect individuals' economic status, said Makse, whose research interest includes the theoretical understanding of complexity. "We analyzed these two large-scale sources - the telecommunications and financial data of a whole country's population. Our results showed that an individual's location, measured as the optimal collective influence to the structural integrity of the social network, is highly correlated with personal economic status." The social network patterns of influence observed mimicked the patterns of economic inequality. For pragmatic use and validation, Makse and his colleagues carried out a marketing campaign that showed a three-fold increase in response rate by targeting individuals identified by their social network metrics as compared to random targeting. Makse's collaborators included Shaojun Luo and Flaviano Morone from CCNY's Levich Institute, and Matias Travizano and Carlos Sarraute from Grandata Labs in San Francisco.